If you’re thinking about fitting your home with an affordable yet effective security system, then CCTV should be your first point of call. From identifying visitors at your front door to keeping an eye on entry points throughout your home, our CCTV systems will give you extra peace of mind with your home security. Best of all, SSH can provide a CCTV installation Glasgow that meets your unique requirements at the lowest price around- so there’s no reason not to fit your home with one of our high-tech cameras today! The days of grainy CCTV images are long gone- with SSH’s state-of-the-art CCTV cameras, everything is always crystal clear. That’s because our CCTV systems come installed using high-quality cameras and lenses, to provide a good, clear colour picture during that day. At night, the cameras will automatically switch to black and white images for better visibility, and activate a built-in LED automatic lighting system. This means that our cameras can keep a close eye on your property around the clock- and if anything happens, their wide-angle views mean you can see exactly what’s going on. Of course, you can’t watch your CCTV feed 24/7. That’s why we also provide Digital Video Recording units to back up the footage, and provide police with all the evidence they need in the event of an attempted break-in. These units connect to a colour monitor, and reviewing the recorded images is as ease as pressing a button. Advanced home security that’s simple to use- that’s the SSH promise. Most basic home CCTV systems are hard-wired, and made up of one to four cameras. These come with all the mains power supply units required, along with a digital video recording unit and colour monitor. Thanks to our long-standing relationships with top suppliers, SSH are able to offer our customers the lowest prices around, without compromising on quality. You can rest assured that your home is fully protected, without having to break the bank for the privilege. Get in touch today to learn more about what makes our CCTV installation Glasgow so special. What’s the use of home surveillance if there are huge blind spots for criminals to exploit? That’s why we design our video surveillance systems to provide the very best results. Our technicians will carefully position high-quality colour cameras across your property, to ensure that every inch is covered. These cameras all feed into the same DVR unit, allowing you to view every feed on a single screen. You can see your front door, driveway, back door, and garden all at once- so every entry point is covered. Every home is different, which is why we specialise in providing custom CCTV systems for all our customers. 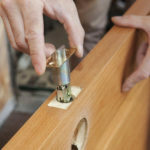 Our expert technicians will look at a whole host of different factors, from ambient lighting levels, to any unique features of your home that might present an additional entry point for burglars. After their thorough assessment, the surveyor can then choose the ideal camera type and lens for your property. In some cases, you might need additional lighting to ensure visibility at all times, and we will be happy to provide this as part of our service. If you’re looking for the most advanced home CCTV systems around, then SSH have got a huge range of options to choose from. Whether it’s ultra-high definition cameras with facial recognition, or PTZ cameras that automatically patrol the perimeter of your property 24 hours a day, there’s so much to choose from with our custom design service. Just speak to one of our technicians, who will be able to talk you through all the options open to you. Whilst the DVR is crucial to the monitoring and operational effectiveness of any CCTV system, the actual quality of the image recorded is totally dependent on the camera itself. That’s why we only offer top-of-the-range cameras that offer the clearest images around, day or night. By carefully selecting the perfect camera to suit your needs, our technicians will create the optimum security setup for any property. Say goodbye to low-quality CCTV, and hello to a whole new world of high definition! 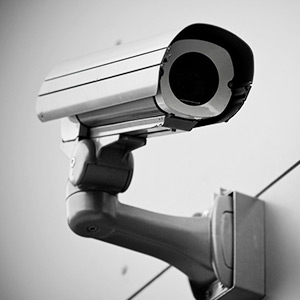 When installing a new CCTV system, we want to be certain that your needs are being met. That’s why we offer FREE, no-obligation surveys to anyone interested in our CCTV systems and home security systems. Not only does this help out technicians make the right decisions when it comes to what cameras will work best, but it also gives us a chance to speak to you and get a clear idea of what you want your new system to do. We’ll ask about the view that you want the camera to see, and how high-tech you would like the system to be. Whether you just want to see who is at your front door, or need a wide angle view of where your car is parked, we’ll create the perfect CCTV system to suit your needs. 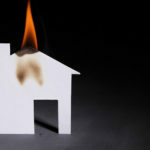 If you care about the security of your property, then don’t leave things to chance. 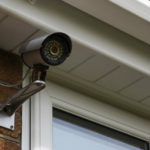 Instead, it’s time to install an effective, reliable CCTV system- and SSH Fire and Security are the best choice for all your home security needs. Our team of experts are always on hand, so if you have any questions about what we can do for you, or to get a quick quote, please don’t hesitate to get in touch. Call 0808 164 0280 today, and discover what makes us the number one choice for CCTV installation Glasgow!